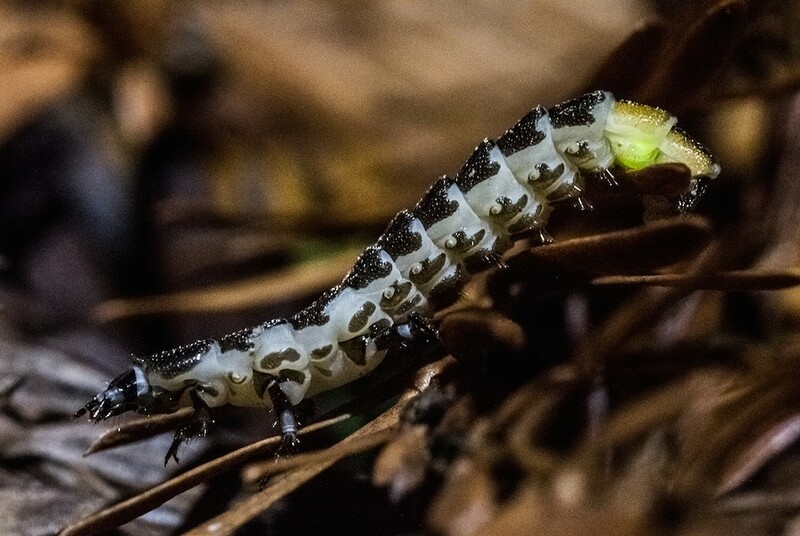 The glow worms are back. As the seasons change, the macro invertebrate fauna (aka bugs) change. It's November, and it finally rained at my house. At night when my dogs take me out for a walk I'm finally seeing my long awaited friends, the glow worms. Rapacious slug hunters, these little firefly relatives are usually found on the ground amongst conifer needle litter when it is soupy wet and very dark. Looking like tiny yellow/green LEDs, four out of seven that I saw a few nights ago were especially tiny, just over a quarter of an inch long, and as big around as pencil lead, indicating they may well be newly hatched from eggs that sat dormant in their burrows over the long dry summer, awaiting the wet conditions that make for good hunting. 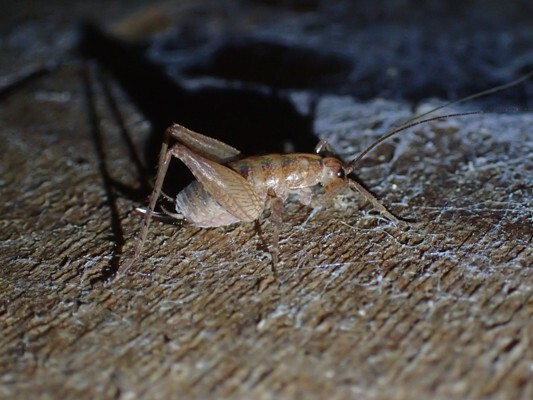 The camel crickets are out and about now as well. For the most part they are innocuous little creatures up to three quarters of an inch long. Preferring damp conditions, they can often be found in basements, old sheds and unheated garages. Although I have not experienced it, I understand that in large numbers they can become a pest, eating many organic items including natural fiber cloth, fruits and vegetables. 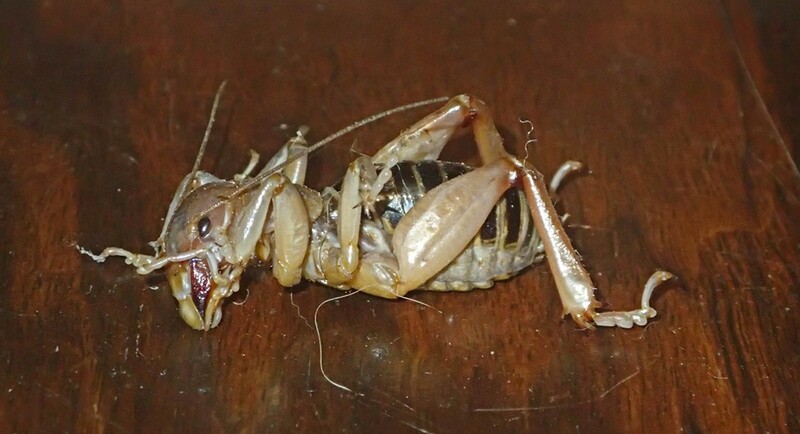 The Jerusalem cricket: big and muscle-brained. A distant relative out now too is the ponderous Jerusalem Cricket, commonly known as a potato bug. These guys can get pretty big, and are a bit intimidating. They are native only to the Western United States and have nothing to do with the city of Jerusalem. It is suspected one of the Native American names for them sounded like that to some early missionaries. Their high domed head isn't filled with brains, but muscles to operate a set of bolt cutter like mandibles. If one were to bite you I would not be surprised if it drew blood. In my experience they are more likely to kick at you with their large, spiky hind legs. However when you disturb them they usually pull in their legs and play possum. Sorry, mycologists; fungus gnats are among us. Finally the change to damp ground brought mushrooms and along with them the critters that live off of them including fungus gnats. 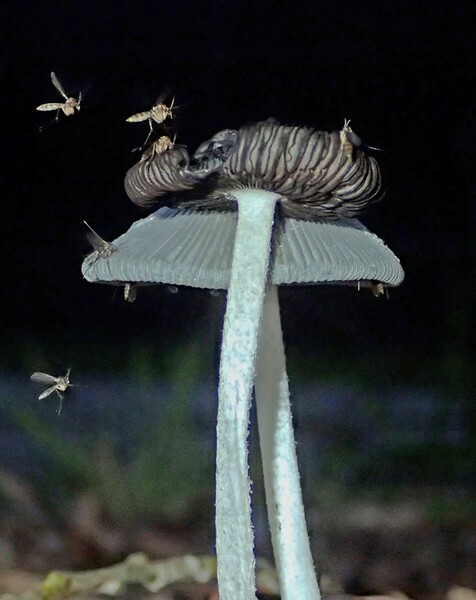 The bane of mushroom hunters their maggots can infest edible as well as toxic species. The presence of the little “worms” is not a good indicator of edibility for us humans.